Allen's Roofing and Building Ltd - Builder, Roofer based in Swanscombe, Kent. Hi My name is Allen and I run Allen's Roofing & Building, we have just over 30 years’ experience combined in the Roofing & General Building industry. We specialize in all aspects of Roofing and General Building and have your best interests at heart as we take great pride in what we do and enjoy our work our aim is to give the highest standards of work whilst making it as comfortable as and affordable as possible all our engineers are respectful and courteous. Artificial Grass supplies and installations. Please ask for more information or other trades we are associated with. All works are guaranteed, and we offer Free Estimates! I can also offer a variation of other services please ask for more info. 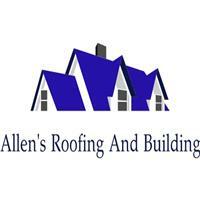 Allen’s Roofing and Building take great pride and care in our work. We are polite, punctual and offer competitive prices. Swanscombe, London, Gravesend, Aylesford, Kent, North Fleet, Longfield, Meopham, Sidcup, Bexleyheath: Cover a 30 mile radius from Swanscombe.